On the issue of David Bullard. One would be easily swayed into believing that his dismissal was more than justifiable. The white man who disowned and patronized his fellow African brothers and sisters has been punished for his racist lies. Yet one forgets the very logistics that lie behind the practice of journalism, that supported David. What I’m trying to say is , where were the sub-editors and the very editor who let his article go to print? The are just as guilty when it comes to the ethics and principles that come with printing such an article. David was let down in this instance as the support structures that hold him as a journalist became the very attackers that would bring him down, labelling him a racist. It saddens me to think that we have not moved on from such petty illustrations of post apartheid squabble. Let’s be honest if this article had been written by a black journalist, no one would have batted an eye-lid. I may be over simplifying the matter, yet I think we also have to acknowledge that what David is proposing is nothing new, there are thousands of anthropological articles written by black academics ,on similar lines, that cause little if not no impact at all. That aside the idea that this article was anything new or not is besides the point. I guess what I’m trying to say is that let’s move beyond whether the article was right or wrong and examine how the situation was handled. 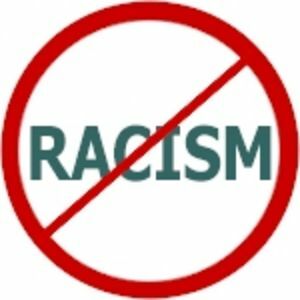 There are Afrikaners who are allowed to start racist groups on Facebook and who promote discrimination with the use of the internet. Francois Rank wrote an article about these worthless individuals in the Sunday Times, 13 April. Check out the article and some of the narrow-mindedly written comments here. My comment is under the username “dolla”.